Employers are increasingly asking workers to give up their rights, so watch what you sign. In a growing trend, employees are giving up their right to sue their employers in court over issues such as wrongful termination, breach of contract, and discrimination. How are they doing this? By signing documents called arbitration agreements. When employees sign these agreements, they are promising to pursue any legal claims against their employer through arbitration, rather than through a lawsuit. Arbitration can mean giving up a lot -- it could even mean the difference between winning or losing your case. You may wonder why you should care where your claims get heard, as long as they are heard somewhere, be it in arbitration or a court of law. An arbitration differs from a court case in several ways, and many of these differences tend to work against employees. Most important, an arbitration is heard and decided by an "arbitrator" -- a private citizen (often a retired judge) who is paid by one or both sides to listen to the evidence and witnesses. That means you won’t have a jury hear your story -- and juries are usually more sympathetic to employees than are arbitrators. In addition, the arbitration process limits the amount of information each side can get from the other. In employment cases, this generally hurts the employee, because the employer is usually the one in possession of all the documents and information relating to the employee’s case. Finally, an arbitration usually cannot be appealed, making arbitration awards more final than court verdicts. This means that, if the arbitrator makes a decision that you think is unfair or wrong, you won’t get a second chance to argue your case before a higher court -- a second chance that you might have gotten had you gone to a court trial. An arbitration does have some advantages over a court trial. Arbitrations are less formal than court trials, and this informality can make the process easier for all involved, especially employees who are not used to litigation. Also, arbitrations resolve much more quickly than court cases, which can take several years from start to finish. Employees often sign arbitration agreements unintentionally. How can this happen? Some employers bog down new employees with tons of paperwork to fill out on their first day, and some employees, in turn, sign documents without reading them. Although many employers are straightforward and present the arbitration agreement to employees openly in a separate contract, others bury arbitration agreements in other documents, such as an employment contract, a hiring letter, or an employee handbook. When you sign a contract, letter, or handbook acknowledgment form, or any other document from your employer, you agree to all the terms of the document -- even the ones that you may not have read. This is a particular problem with handbooks, which might be hundreds of pages long. To protect yourself from unwittingly signing away your rights, don’t sign any document acknowledging you’ve read something unless you actually have read it and understood it completely. And don’t sign any document that says you agree to the terms unless you have read all of the terms and do in fact agree to them. If your employer asks you to sign an arbitration agreement, you can refuse, but you may be putting your job in jeopardy if you do so. Except in very limited circumstances, an employer can rescind an employment offer if a prospective employee refuses to sign the arbitration agreement. And an employer can fire an at-will employee who refuses to sign one. Therefore, declining to sign the agreement could jeopardize your job. Sometimes, however, employers will negotiate this point, especially if they are more excited about the employee than they are about arbitration. If you are a highly sought after prospect, or if you are a valued employee in your company, your employer may allow you to refuse to sign rather than give you up. Another option is to agree to sign -- but only if you can negotiate an agreement that is more fair to you, as described below. If your employer won’t let you outright refuse to sign, it may allow you to negotiate certain terms of the agreement to make it more fair to you. Although an employer may not agree to your requests, it is not likely to fire you for asking. Negotiating your agreement to arbitrate is no different from discussing your salary. The employer is negotiating for its best interest, and it is your duty to negotiate for your own best interest. Choice of arbitrator. You should get as much say in choosing the arbitrator as the employer. Given the power of the arbitrator, and given the fact that you probably won’t get to appeal the arbitration decision, you will want to have rights equal to those of your employer in selecting who the arbitrator will be. You and the employer should have the right to reject at least one arbitrator without having to give a reason. Disclosure of information. Any potential arbitrator should have to disclose any information regarding business and personal interests to ensure she is not biased in favor of the employer. For example, the arbitrator should not be someone who is a stockholder in the company. You and the employer should have the right to reject any arbitrator who has a conflict of interest. Costs of arbitration. Because the employer is the one who wants to use arbitration -- something that must be paid for -- the employer should have to pay for the costs of the arbitration. Remedies available. Make sure that you can receive through arbitration all of the remedies that you would have gotten if you had filed your claim in a court of law. 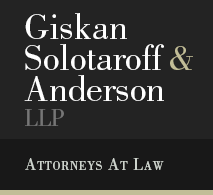 For example, the agreement should not prohibit you from seeking punitive damages or damages for emotional distress. Attorney representation. You should have the right to be represented by an attorney throughout the arbitration process. If you sign an arbitration agreement and your employer discriminates against you, you can still complain to a government agency, such as the federal Equal Employment Opportunity Commission (EEOC) -- and the agency can decide to sue the employer in court on your behalf. This is because the arbitration agreement you signed applies only to you; it doesn’t apply to an agency that helps you.